Imagine walking down the street of a big city and seeing a fenced-off section with noisy blasting, dust flying and piles of debris. If we peeked through a hole in the fence, we might cry out, “What a mess! Whoever planned this project did not know what they were doing!” But wait! Is it fair to judge an architect by his unfinished work? Surely not! Many misjudge the work of the greatest Architect of all. When we look at the chaos in the world today, what we see is the dust and debris of a well designed Plan as yet unfinished. The present permission of evil is designed as a learning experience that will never be forgotten. 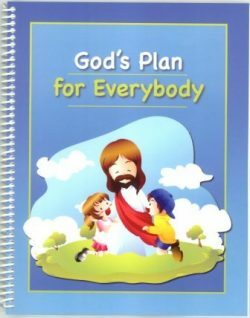 God’s finished Plan will bless every man, woman and child who has ever lived. “My purpose will be established, And I will accomplish all My good pleasure” (Isaiah 46:10 NAS). No matter how mysterious or haphazard God’s dealings with mankind might seem—His unchangeable Plan is progressing steadily forward! In the Bible, the first epoch from Creation to the Flood is called, “The World That Then Was.” It was under the administration of angels (2 Peter 3:6; Hebrews 2:5). The second epoch, from the Flood to the establishment of the Kingdom of God, is under the limited control of Satan, “the prince of this world.” It is called “The Present Evil World” (2 Peter 3:7; Galatians 1:4). The third epoch is to be a “world without end” under divine administration, the Kingdom of God (Isaiah 45:17). It is called “The World to Come”—“in which righteousness dwells” (Hebrews 2:5; 2 Peter 3:13). The second and third worlds are in strong contrast to each other. The second epoch of time is called the “Present Evil World,” not because there is no good in it, but because evil predominates. Satan is “the god of this world.” (2 Corinthians 4:4) “Now we call the proud happy; yea, they that work wickedness are set up; yea, they that tempt God are even delivered” (Malachi 3:15). In the “World to Come Wherein Dwells Righteousness,” Jesus will be the ruler and the reverse will be true. Then “the righteous [shall] flourish” (Psalm 72:7), and “evildoers shall be cut off” (Psalm 37:9) However, the blotting out of evil will be gradual, requiring all of the first thousand years. Because Satan is the “god of this world,” he has blinded the minds of most men (2 Corinthians 4:4). Jesus clearly said, “My Kingdom is not of this world” (John 18:36). In fact, he taught his disciples to pray for a future time: “Thy kingdom come. Thy will be done on earth, as it is in heaven” (Matthew 6:10). 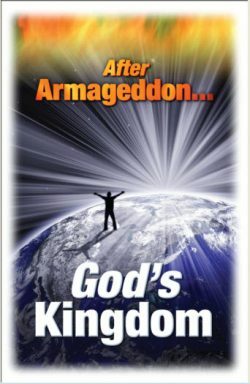 Why is God’s Kingdom seemingly postponed? One reason is to permit time to develop and test Jesus’ followers (Ephesians 2:2; 6:12,13), who will be joint-heirs with Christ as kings and priests in God’s Kingdom (Revelation 5:10). When this elect class is complete, Satan will be bound (Revelation 20:1-3). The transition from the kingdom of this world to the kingdom of our Lord will be a general time of trouble before peace. (Revelation 11:15-18; Mark 3:23-27). Though the Scriptures speak of three “worlds,” or dispensations, these all take place on our one literal earth. “The earth abideth forever” (Ecclesiastes 1:4). Why, then, does Peter talk about both the “heavens and the earth” being destroyed in “fire” and “heat” (2 Peter 3:7, 10. Peter is not talking about a literal fire burning a physical sky and earth. He is referring to the spiritual ruling powers, human governments and social arrangements being destroyed. When the first “world” perished with the Flood, the earth still remained (2 Peter 3:6). It was the evil society that was destroyed. The present “heavens” of Satan’s rule will give way to a “new heavens,” Christ’s spiritual rule. After Satan’s kingdom is destroyed in the “Day of the LORD” (Malachi 4:1,5), the old order of society will be replaced by God’s just, loving and peaceable Kingdom on earth. The Apostle Paul was given a vision—mentally or physically, he couldn’t tell because things were so real to him. He was caught up to the “third heaven” in which he saw Christ’s wonderful Kingdom rule (2 Corinthians 12:2-4). Similarly, the Apostle John saw in symbolic vision the Kingdom of Christ as “a new heaven and a new earth” (Revelation 21:1,2). The new ruling authority is represented as the “New Jerusalem.” The renovation of society will be wonderful! “There shall be no more death, neither sorrow, nor crying, neither shall there be any more pain, for the former things are passed away” (Revelation 21:4). Though the first world was not subdivided, the second and third epoch worlds are divided. From Adam’s fall to the Flood, God allowed man to follow his own downward evil course so that he might fully experience the consequences of sin and disobedience. Man’s thoughts were only “evil continually” (Genesis 6:5), However, God graciously intervened with the Flood to prevent further degradation. God has a recovery plan that will ultimately “save that which was lost” (Luke 19:10), and turn man’s heart to righteousness. After the Flood, another step in God’s Plan unfolded. The Present Evil World (the “World that Now Is”) has three ages, each progressing forward to the overthrow of evil. The Patriarchal Age is the first of these three ages. During that period, God dealt only with the Fathers of Faith—such as Noah, Abraham, Isaac and Jacob (Hebrews 11). 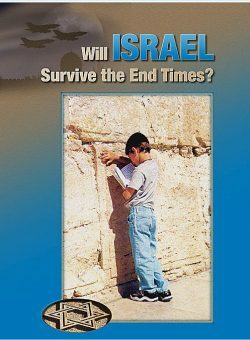 The Jewish Age is the second period within the “World that Now Is.” That age started when Jacob died, leaving his descendants as the “twelve tribes of Israel,” which God separated from the other nations for a particular purpose. (Genesis 49:28) After their Exodus from Egypt, God made a covenant with Israel, giving them His law and His special blessings. He gave them the Tabernacle and later the Temple, in which sacrifices were offered that foreshadowed Christ’s sacrifice. At the end of this Jewish Age, God sent His Son Jesus to Israel. “I am not sent but unto the lost sheep of the house of Israel” (Matthew 15:24). However, only a small remnant accepted Jesus. As a nation, Israel rejected him. Five days before his crucifixion, Israel’s national favor ended when Jesus said, “Behold, your house is left unto you desolate” (Matthew 23:38). The Gospel Age, or the Christian Age, is the third age. It began at Jesus’ death, which opened the way of salvation for all nations, by Christ’s “ransom” sacrifice (1 Timothy 2:6; 2 Timothy 1:10). 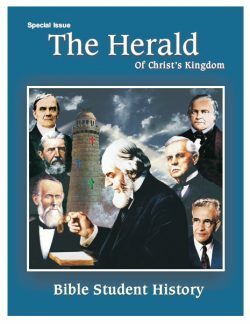 The Gospel message has now gone out for nearly twenty centuries—published in just about every language on earth. The purpose in this Age, however, has not been to convert the world, but to gather from it a “little flock” to be joint-heirs with Christ in his Kingdom (Luke 12:32). From heaven, they will reign with Christ as “kings and priests” over earth, to bless all the remainder of the world during the next Age (Rev. 5:10; 20:6). In the “World to Come” only the first thousand years (the Millennial Age) are defined in the Bible. The Scriptures refer to this Age as “Times of Restitution” (that is, a time of restoration to that which was lost).). It is inaugurated in a time of transition beginning with the second advent of Christ (Acts 3:21 nas). At the dawning of this Millennial Age, Satan is to be bound (Revelation 20:1-3). Evil will recede, and righteousness will dominate. During this time ALL mankind will be gradually awakened from the sleep of death. Every help will be given them by the heavenly “little flock” to transform their characters into loving, obedient sons of God. They will be instructed, guided, and disciplined with a loving hand as necessary for their rehabilitation. Those who change their characters and pass the final test will receive everlasting life on Earth (Revelation 20:7-9). It will be a life of happiness and unending blessings (Isaiah 25:6-8). What a grand prospect! In the “Ages to Come” all tears will have been wiped away. Then, and forever after, “there shall be no more death, neither sorrow, nor crying” (Revelation 21:1-4). God’s Kingdom on earth will finally be fully established! The prayer of our Lord Jesus for the Father’s will to “be done in earth, as it is in heaven” (Matthew 6:10) will then be fully answered! Not one of these great periods of time is too long or too short! They are like links in a chain, each with its part to accomplish, and necessary to the complete development of God’s Plan. If we focus on only a portion of the Great Architect’s Plan, it may seem like confusion and failure. 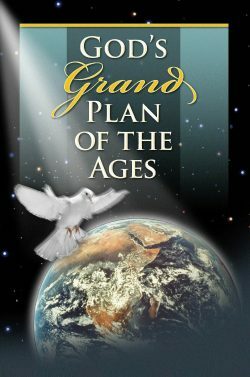 But God’s plan is progressive, gradually unfolding from age to age. God’s wisdom and power are infinitely able to accomplish His will. To rightly comprehend God’s Plan, we have to be “rightly dividing the word of truth” (2 Timothy 2:15) as we study the Bible. What is true of one age may not be true of another. For instance, at present we cannot say that the earth is “full of the knowledge of the LORD, as the waters cover the sea” (Isaiah 11:9). Nor can we now say that everyone knows God (Jeremiah 31:34). These promises belong to the Millennial Age—and beyond. even every opposing element, animate and inanimate, and make them all work together for the accomplishment of His grand designs; of the tireless vigilance which never ceases, nor seeks relief from the pressing cares of universal dominion— whose eye never sleeps, whose ear is ever open, who is ever cognizant of all the necessities, and active in all the interests, of his broad domains.